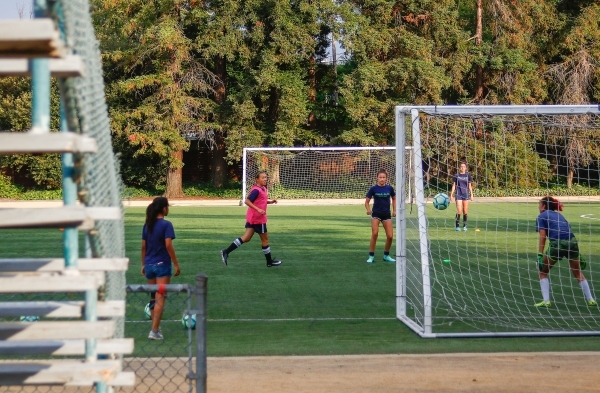 Soccer players in the Palo Alto Soccer Club do drills at the soccer fields located behind the main buildings at Cubberley Community Center on Aug. 4, 2017. The center has tennis courts, softball fields, soccer fields, a football field and running track. Photo by Veronica Weber.